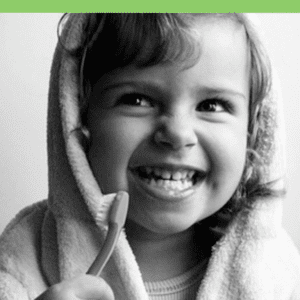 From the time we cut our first tooth, our dental health contributes to a high quality of life. Our teeth affect how we smile, eat, laugh, speak in public, and even the way we feel about ourselves. A pleasant smile is a sign of attractiveness and confidence, even for children. Dental problems tend to have long-term effects. This is why regular dental check-ups and getting dental care as soon as a problem is detected are so important. The habit of good oral hygiene and regular dental care is typically learned when we are children. Because they are in a stage of life when they’re still developing, and their permanent teeth have yet to arrive (or are just coming in), children have special needs and require a different type of dentistry than adults. For example, cavities are common in children but gum disease is not. Many children need braces to help straighten misaligned teeth. If you have children, you should consider taking them to a pediatric dentist. A pediatric dentist is a dentist who specializes in the care of children’s teeth. However, when it comes to your children, quality comes first. Here’s what to look for in a pediatric dentist. Do they have special training in pediatric dentistry? Most dentists will work on children, but you are seeking a specialist who has dedicated their career to working with children. Does this dentist establish rapport easily? There is a human element in every relationship that’s impossible to quantify. Does he or she make you feel at ease? Is the office child-friendly? Most importantly, how does the dentist make your child feel? If you are interested in pediatric dentistry in Costa Rica, fill out the “Find a Dentist” form on this page. One of our patient advocates will reply to your needs.